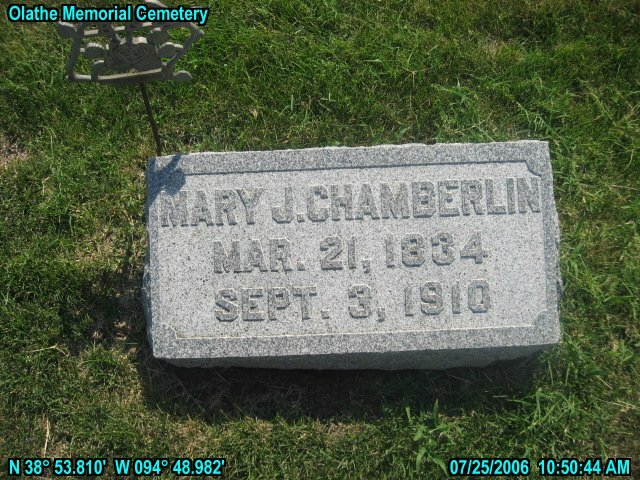 Mrs. Mary Jane Chamberlin died Saturday at the home of her daughter, Mrs. W. T. Williams, 603 South Cherry Street. The burial services were held at their home Sunday at 2:30, conducted by Rev. H. W. Burr who was assisted by Rev. A.M.Buchanan. 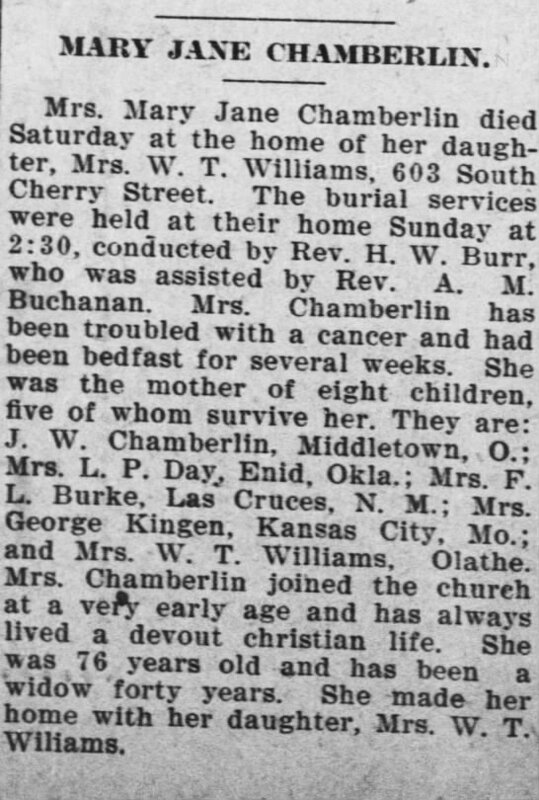 Mrs. Chamberlin joined the church at a very early age and has always lived a devout christian life. She as was 76 years old and has been a widow forty years. She made her home with her daughter: Mrs. W.T. Williams. Please share your memories of Mary Jane.